Have you heard about SonarQube before? Do you want to know how to use it and what kind of value it can bring to the software development process? You’re in a right place! We’ve prepared a series of 5 articles which will make dealing with SonarQube much easier. So let’s get started! 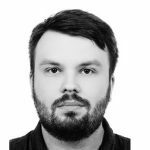 First of all – what is SonarQube? SonarQube is a very universal tool for static code analysis that has become more or less the industry standard. Because it is covering the most popular programming languages, it’s the most complex solution that covers most use cases using a single application. This allows you to not use a separate app for every programming language that has to be analyzed. It helps to catch a lot of problems in code and thanks to its philosophy to focus on the new code it helps to fix issues as soon as they appear. Keeping code clean, simple and easy to read is also a lot easier with SonarQube since a lot of rules also focus on those aspects which starts to pay off a lot after some time. A lot more detailed feature descriptions that are widely used are described on the official SonarQube page and there is no point in duplicating them here. What is this series of tutorials about? The main goal of this tutorial is to show how to configure SonarQube scanners for both .NET example projects and JS example projects. SonarQube is used here as a Docker Image for demonstration purposes and should not be used in this configuration in production. The reason for creating a custom image that is used to execute SonarQube analysis is to make sonar scanner syntax easier to read and modify during this tutorial than running it as the console commands. 4. Go to: http://localhost:9000/account/security/ and generate a token. 5. Copy token value and save it somewhere, since you won’t be able to see it again! You will need it later in the tutorial. 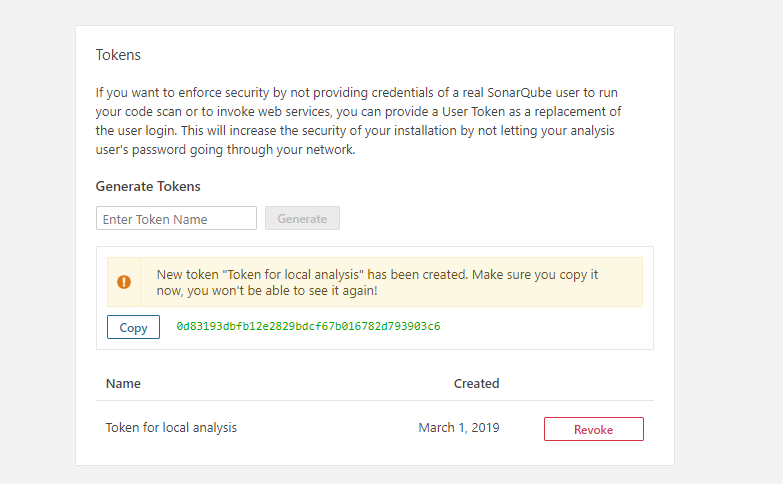 # way for creating Sonarqube scanner image. Of course feel free to check on it if you like. RUN sonar-scanner -Dsonar.host.url=$SONAR_HOST -Dsonar.login=$SONAR_LOGIN_TOKEN -Dsonar.analysis.mode=preview -Dsonar.projectKey="pluginsSeedJS" -Dsonar.sources="src"
docker build --network=host --tag sonar-scanner-image:latest --build-arg SONAR_HOST="http://localhost:9000" --build-arg SONAR_LOGIN_TOKEN="TOKEN_VALUE" . Remember to replace “TOKEN_VALUE” with your token from point 4. # Execution of example command. Here it is used to show a list of files and directories. # It will be useful in later exercises in this tutorial. # To execute sonar-scanner we just need to run "sonar-scanner" in the image. Since settings at both server and project levels location aren’t versioned I usually prefer to pass settings as parameters during analysis to version them together with the code of a living project.  In Projects management tab http://localhost:9000/admin/projects_management you can add new projects and edit permissions to them. In the next tutorial, you are going to learn about how to configure SonarScanner to work with your projects and to suit your needs – SonarScanner tutorial. After this, we will take a look into SonarScanner for MSBuild and check the differences between it and SonarScanner and work with its unique features – SonarScanner for MSBuild tutorial. Then we will play a little with customization of the server rules and behaviors in analysis context in Rules, quality profiles and quality gates tutorial. We will wrap things up with Gitlab integration tutorial, which will show us how to integrate SonarQube with pull requests.